You are currently browsing the archive for the Frisco Real Estate category. Memphis investors see easily what Dallas Real Estate offer for investors and here is the information from Dallas Morning News that Memphis investor buys two more Collin County apartment communities. The Growing city Dallas-Fort Worth area added more residents than any other city in the United States. According to the latest Census Bureau data released on Tuesday, the population of the extending Texas metro area grew by about 1.3 million people, or 25%, between April 1, 2000, and July 1, 2009. 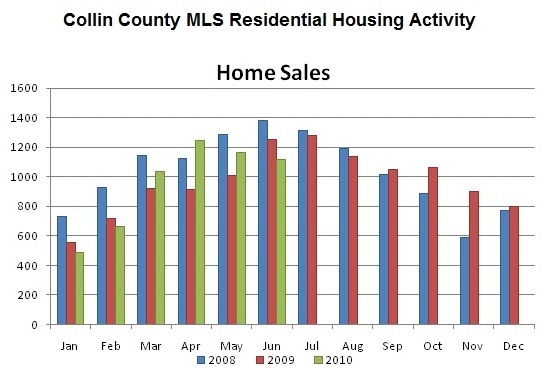 Collin County Association of Realtors just prepared the June Data for every city in Dallas Area. Since The City of Frisco in Collin and Denton County these statistics shows both counties together. If you need more information about your own Subdivision call or email me, I will prepare specific reports just for you.